Because of their intense focus on content marketing and thought leadership, B2B marketing professionals have become prolific at organic, inbound marketing practices. We’ve been so laser-focused on “earning” our demand generation, however, that many have been overlooking viable paid advertising opportunities. Add to that the murky waters that include thousands of marketing and advertising technology providers, not to mention myriad digital advertising options, and you can understand why many have steered clear. 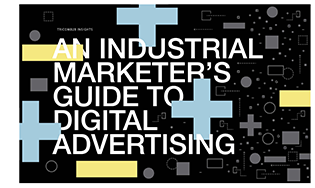 TriComB2B’s easy-to-read guide, An Industrial Marketer’s Guide to Digital Advertising, provides peace of mind for business-to-business (B2B) industrial marketers evaluating different venues and platforms for digital advertising. 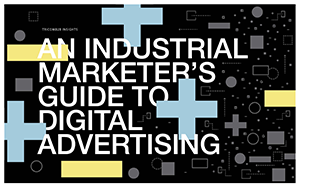 It includes an overview of the most relevant options for B2B marketers, including statistics and advice on: traditional display, display network, paid search and social media advertising. It’s a fast-paced digital advertising world. B2B industrial marketers need to do their homework — and get it right so their dollars don’t go to waste. This guide provides an easy first step toward understanding the landscape. Thank you for downloading this Whitepaper.